Showing 1 - 20 of 132 results. 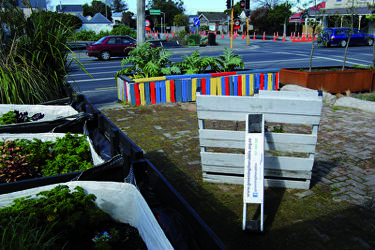 A photograph of a garden area on the former site of Piko Wholefoods. A Greening the Rubble sign. Photograph captioned by BeckerFraserPhotos, "Corner of Salisbury and Victoria Streets. 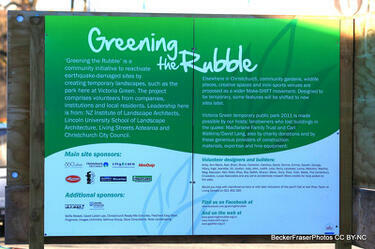 A 'Greening the Rubble' project. 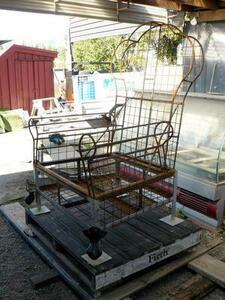 This has subsequently been removed". 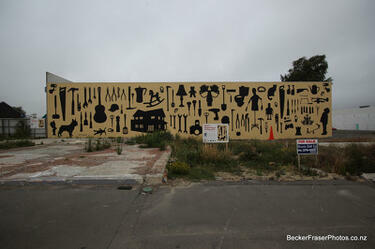 A photograph of Wayne Youle's mural 'I Seem to Have Temporarily Misplaced My Sense of Humour' (2012). 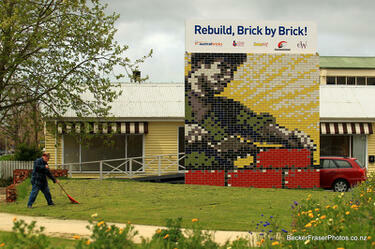 The photograph is captioned by BeckerFraserPhotos, "Art installation at an empty site on Colombo Street, Sydenham". 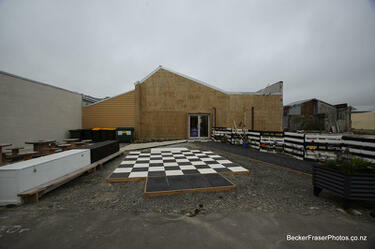 A photograph captioned by BeckerFraserPhotos, "Gap Filler Chess set on Colombo Street, Sydenham". A photograph of the shape left on a building on the corner of Colombo Street and Gloucester Street, where the neighbouring building has been demolished. Julia Holden has termed this a 'ghost building'. 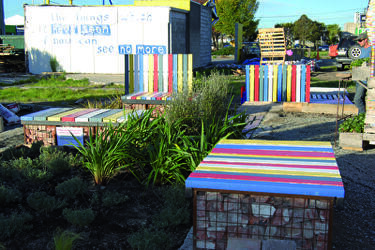 In front of this is a pop-up garden and seating area, installed by Greening The Rubble. 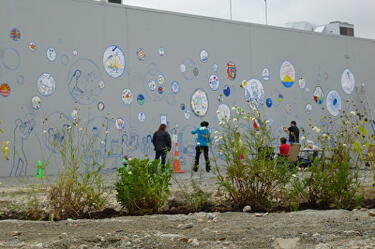 A photograph of the tape art mural, taken from a newly created Greening the Rubble site. The photograph was taken at Street Talk, a Tape Art residency held from 6 - 9 March 2014. 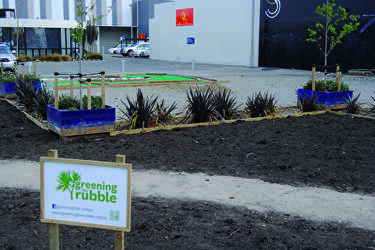 Street Talk was a collaborative project between All Right?, Healthy Christchurch and Tape Art NZ that had Christchurch communities create large tape art murals on the south wall of Community and Public Health. 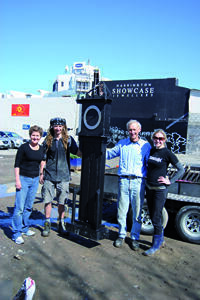 A photograph of volunteers with the clock for the Rotherham Clock Park. A photograph of the Rotherham Clock Park in Riccarton. 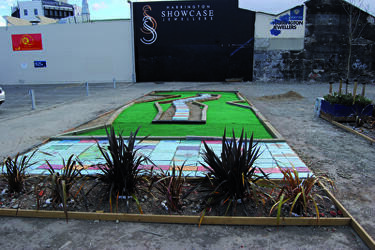 A photograph of the Gap Filler mini-golf hole in the Rotherham Clock Park in Riccarton. 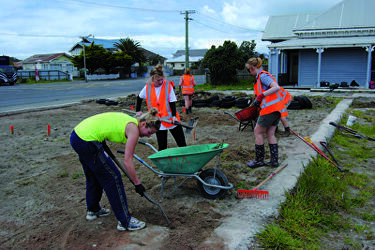 A photograph of volunteers creating a beach garden in New Brighton. 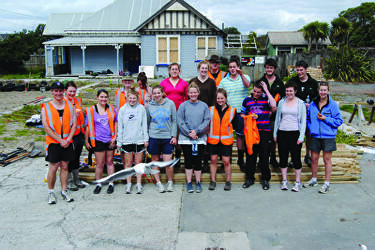 A photograph of volunteers at a beach garden in New Brighton. 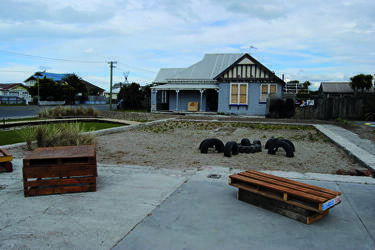 A photograph of a beach garden in New Brighton. 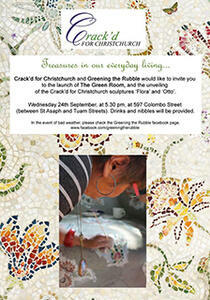 A PDF copy of pages 310-311 of the book Christchurch: The Transitional City Pt IV. 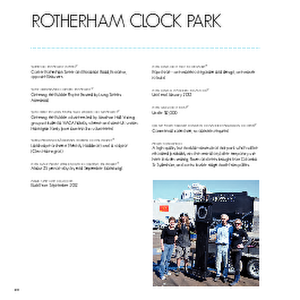 The pages document the transitional project 'Rotherham Clock Park'. 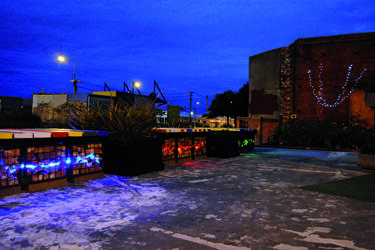 A photograph of a garden area on Colombo Street. 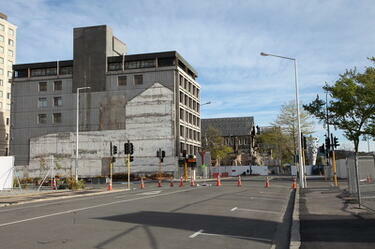 A PDF copy of pages 300-301 of the book Christchurch: The Transitional City Pt IV. 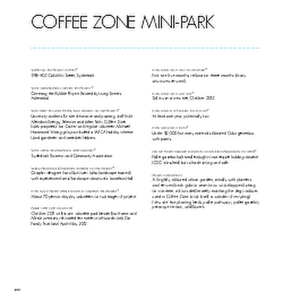 The pages document the transitional project 'Coffee Zone Mini Park'. 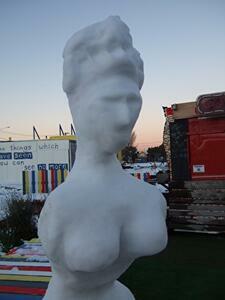 A photograph of a snow sculpture in the Coffee Zone mini-park on Colombo Street.